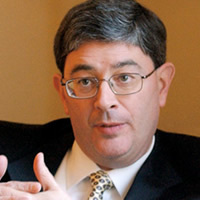 WindRose Hotel: George Weigel: An American Catholic Patriotic Association? George Weigel: An American Catholic Patriotic Association? “Who speaks for the Catholic Church in America?” The answer to this question should be obvious: “The bishops’ conference.” Yet, according to the U.S. Administration that’s not exactly the way things are, because, first and foremost, primacy in the Catholic Church is not conferred by the pope, but by the White House. This is, in short, George Weigel’s J’accuse—in the National Review Online—to the U.S. Administration.